HONOLULU (HawaiiNewsNow) - Artistic director John Rampage travels to New York City several times a year in search of the next Broadway darling to bring back to the 105-year-old Diamond Head Theatre. "We sunk the Titanic, we had all of the sets required for 'Producers,' sometimes we have to think out of the box and think in a different vein. But it's got to where they're all pretty big and challenging, but we've proven to be up to the challenge." But in just four months, Hawaii will get to experience theater in another way. For the first time ever, a season of Broadway touring productions will be introduced to the Neal S. Blaisdell Concert Hall — “The Phantom of the Opera,” “Rent” and “The Illusionists” — something that industry experts say has been long overdue. “It’s also a really important, powerful brand statement to make to the West End and Broadway theater communities because virtually every other city besides Honolulu has touring Broadway seasons,” said Steve Boulay, co-owner of MagicSpace Entertainment, the promoters responsible for bringing the trio of shows to the state. "You can go online and Seattle, Salt Lake, Boise, Fresno, all over the West Coast, Denver, all of these markets have touring Broadway seasons," Boulay said. "They have multiple shows." But getting to this point has been difficult. With shipping costs as the biggest barrier, only a handful of shows — many of which had already been out for a while — made it to the islands. On average, it costs roughly $1 million to ship an entire show to Hawaii, Blaisdell officials estimate. Industry leaders say the theater scene in Hawaii is already vibrant, with many enthusiasts itching for the next big show. But a season of touring productions coming to Hawaii this year — and beyond — will provide a boost and renewed energy for local theaters, they say. 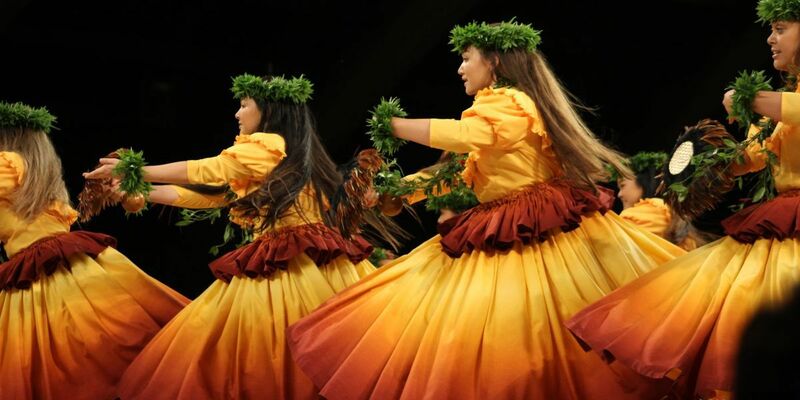 A "true season," Blaisdell officials say, will not only give perks to the public through discounted package deals and early sales, but it also signifies a commitment between the Blaisdell and the shows themselves. Guy Kaulukukui, director of Enterprise Services for the City and County of Honolulu, said the Blaisdell would typically welcome in only one Broadway touring show a year or every other year because there was a strong belief that one show was the most the market could handle. But this year was different. "We were willing to question whether or not that was the case, and we finally have someone who's really seeing eye to eye with us, that there is a market that can be built," Kaulukukui said, referring to the shows' promoters, MagicSpace Entertainment. So why did MagicSpace decide to make a commitment with the Blaisdell? Because the Blaisdell is making a commitment to stepping up its facilities, MagicSpace says. “That’s the deal we made with the building was you’re stepping up with the facilities, and we as an industry, we’re gonna step up with the shows,” said Steve Boulay, of MagicSpace. The city is finalizing plans for a nearly $680 million project to modernize the 55-year-old Blaisdell into a 21st century facility. While officials are now working to secure money through a public-private partnership, they hope to kick off construction by the end of next year and reopen between 2022 and 2023. A big part of the project: Significant upgrades to the concert hall, where the Broadway productions usually take place. This will include a new, smaller performance hall for local events — like graduations — to help take off the scheduling pressure for bigger productions. "We could have that going at the same time for instance as a Broadway show," Kaulukukui said. "We don't have to have them compete against each other." It will also include upgrades to the current concert hall such as renovated bathrooms, elevators and added facilities like dressing rooms and a rehearsal hall. The added facilities would help make the process of setting up a show more efficient since the performers can rehearse at the same time a show is getting loaded on stage. Kaulukukui said the renovation project overall is vital to attracting more shows — and more modern shows. "We have well known acts of a particular vintage and there are acts that we are not able to attract that might be more mainstream to millennials or post-millenials, and largely that's because we cannot provide a venue sufficient for the promoter to bring that act here," he said. "That's one of the major benefits we expect is an elevation, really, into a market that we're not able to attract on our own." Mary Lewis, events and services administrator for Blaisdell, has been with the facility for nearly three decades. From “Cats” and “A Chorus Line” to the upcoming run of “The Phantom of the Opera,” she’s familiar with the history of shows at Blaisdell. And one of the reasons why Hawaii hasn’t been able to attract the types of shows the mainland does is largely due to geographical constraints. She said producers look at shows about three years out and have to take into consideration the ones that can easily ship sets and costumes to Hawaii. So while it may be easy to transport the pieces from city to city on the mainland, it's a huge cost factor when it comes to sending containers via boat over the Pacific. "They're trying to place us near a dock, somewhere like Long Beach or Seattle," Lewis said. "So it's really a big jigsaw puzzle to get the right date." Kaulukukui added that it’s certainly not a lack of desire or the size of the market — it’s simply the cost factor. But the commitment to having seasons, Kaulukukui said, will offset the cost barriers and help build a core fan base that will give shows and promoters the confidence to look to Hawaii. "I feel like they're taking a chance with us because they have a lot of belief in the development and what we're going to be able to provide as a venue for when we reopen after the significant renovation of the concert hall," Kaulukukui said. "So it's an exciting opportunity for our community." Lewis said a contemporary theater will "answer a lot of the problems that we're facing as a 55-year-old building" and will feed the needs of modern Broadway shows to "keep up with the times, the digital revolution," meaning they'll be able to catch the blockbusters a little closer to when they were blockbusters. In addition, having more Broadway shows mean an economic boost for the state, especially since the shows typically run for several weeks. “The people that are flying in, the people that are taking a hotel room, that are buying a new dress, that are going out to dinner ― the impact is significant because it is an event. It’s an event that brings community together, so it’s very special,” Lewis said. And it provides employment for dozens of stage hands and helpers. But perhaps one of the most important benefits: It helps Hawaii's performing arts community. "Once you get accustomed to this kind of quality, you will go out and seek it in other places," Lewis said. "We have a very strong local community theater and resident theater companies." She points to Diamond Head Theatre, Manoa Valley Theatre, Honolulu Theatre for Youth and the Hawaii Opera Theatre, just a few of the many community theaters on Oahu. “Having this come in so that the students and the public can see the standards of Broadway only helps raise our expectations of our own theater scene, and I think that’s a really good thing for everybody,” Lewis said. For Jason Walter, marketing director of the Hawaii Opera Theatre, he's not worried about any kind of competition with "The Phantom of the Opera" coming to town. Instead, he encourages it and is hopeful it will spark interest in the opera and performing arts in general. "Having additional opportunities for people to consume professionally staged performing arts is beneficial to community members as a whole," Walter said. "I'm a big believer that experiencing arts is a way to bring people together and it also can be transformative in individual and community lives." Walter said it’s important to have the performing arts as part of the fabric of the community as it gives people a chance to escape reality and see live theater, an experience that’s different each time it’s done. "For performing arts, it's an opportunity to get away from your life, connect, be inspired, get a cool tune stuck in your head, explore," he said. "There's the concept of the inner child. It keeps the inner child free. It feeds the curiosity, the creativity. I think in the world today, that's really important." Honolulu Theatre for Youth is another local company that puts on shows for roughly 120,000 students a year. Eric Johnson, artistic director for HTY, agrees that there's no competition with Broadway shows coming to town and that he welcomes any opportunity to have more arts in the islands. "I think creativity is not just a nicety anymore," he said. "To see a Broadway show, something with professional artists operating at the top of their game, is a great opportunity to get inspired to do your own work and to be creative yourself." Since it can be costly for children and their families to travel to see Broadway shows on the mainland, having them here is "a great benefit to our community." Becky Dunning, managing director for HTY, said on the other hand, there are also other, more affordable options for families to experience performing arts: through seeing them at the local theater level, in their own backyards. "For HTY, the price for one of the Broadway touring show tickets is as much as season tickets for HTY," she said. "So a family could see seven shows at Honolulu Theatre for Youth at the price of Broadway touring shows." 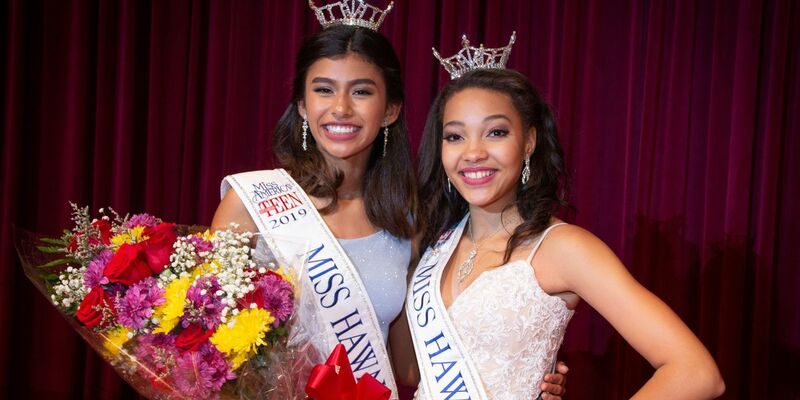 Johnson added, "We have a chance to speak specifically to the Hawaii young people and families in a way that a Broadway tour never can because they're a national, international audience. 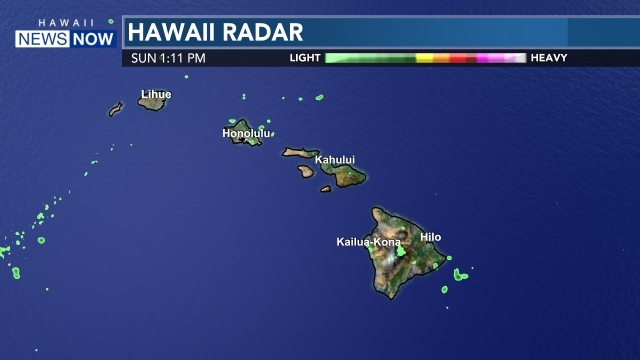 We're speaking right to a Hawaii audience." But in the end, regardless of how or where the public experiences live theater, each performance will add value to the community in some way, both agree.